This class will introduce the structure and function of the nervous system as well as approaches to study and model it. Anatomical, cellular, and molecular foundations will be covered and these will be related to behavior and cognition. Computational approaches will also be presented. A historical review will place neuroscience within its contemporary context and current approaches will be presented, discussed, and critiqued. This course examines the cellular and molecular mechanisms of neuronal function and the changes that occur in processes such as learning and memory. Emphasis on electrophysiology, synaptic communication, and cellular signaling. Cross-listed as BIO339/439. In this course, we will learn how substances from the outside world affect the brain and behavior. Drugs such as levodopa can be greatly beneficial in the clinic, while other substances like cocaine can lead to addiction and drug abuse. The course will focus on drug action at a molecular and cellular level, as well as drug effects on a behavioral and psychological scale. 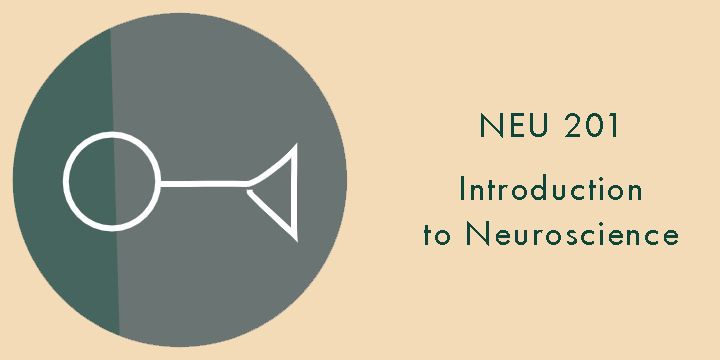 This course is designed to provide students an understanding of how questions are answered in neuroscience by exploring experimental designs used in neuroscience research and individual techniques used by neuroscientists. In addition to reading about these methods, students will have hands on opportunities to conduct some of the methods discussed. Lastly, students will formulate their own research question and develop a proposal to answer their question. Nervous system and endocrine functions as related to behavior. This course includes a research component where the student will research a topic of their choosing and present their findings in a written report, an oral presentation, and a general interest online article. Examines basic concepts in neurobiology. Specifically how the brain is organized, how it sends messages throughout the body, and how these messages turn into daily activities such as seeing, eating, and walking. How these behaviors are altered due to disease or injury of the brain is also discussed. Cannot receive credit for both BIO 126 and BIO 162. Formerly BIO 206. No credit for Biology majors or minors or Neuroscience majors.